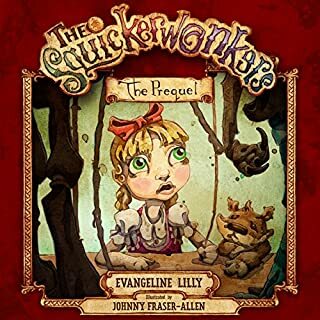 Let us introduce you to the remarkable Squickerwonkers - a band of colorful marionettes, and stars of the fabulous Squickershow - and to Selma of the Rin-Run Royals - a clever little girl with a naughtiness lurking just beneath the surface. One day Selma stumbles upon this troupe of puppet-scoundrels and endures a cheeky test of character that leads to an unpleasant lesson; one The Squickerwonkers are only too happy to oblige in orchestrating. In this, the prequel to the multi-book Squickerwonkers series, Selma’s curiosity and the Squickerwonkers’ vices set the stage for a wonderful cautionary tale that will captivate old and young alike. This book series looks like it is going to be highly creative and entertaining!!! They are really enjoyable to read or listen to.Looking forward to all the future Squickerdom!!! Lorna the Lazy hasn’t the energy for anything, and when it comes to her “end”, that will mean everything. Enter at your own risk and listen to another outrageous and dark demise tale with your favorite group of misfit, vice-ridden marionettes. 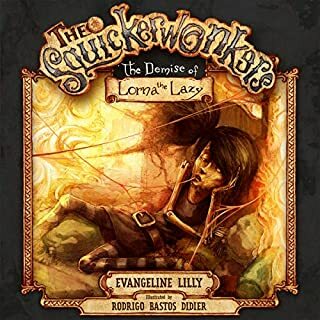 Narrated by author and actress Evangeline Lilly, The Demise of Lorna the Lazy will delight with its fully produced sound effects, soundtrack, and voices. Children will be absorbed and parents will be delighted in equal measure. 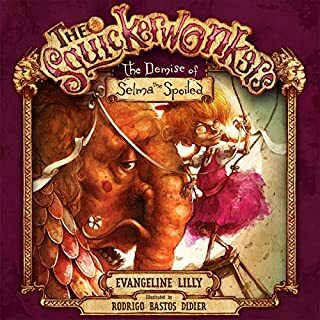 In this first volume of The Squickerwonkers Series, The Squickerwonkers - a band of colorful marionettes and stars of the fabulous Squickershow - have welcomed a new cast member into their troupe: Selma the Spoiled of the Rin Run Royals, and she's more SPOILED than ever! Having inherited the wealth and power of Selma's Gramp, The Squickerwonkers are no longer outcasts. They are ready to leave their enchanting and spooky wagon to get out and enjoy their new riches. I bought a physical copy of this book, but I wanted to hear the audio book with Evangeline's narration.Let me just say the book comes to life for me,it reminds me of story time when I was a child.Evangeline is an extremely talented woman and I look forward to more of her work.The voice work here is masterful.